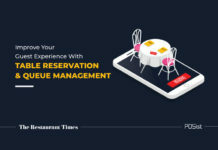 With technology taking strides in the restaurant business, there is a need for a single integrated solution that allows you to manage the different aspects of your restaurant business from one place. This is where a smart restaurant POS (Point of Sale) software comes into the picture. 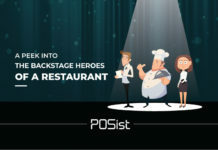 The restaurant POS is more than just a billing system. A comprehensive restaurant POS can act like a complete restaurant management system that provides an end-to-end solution for all your operations. 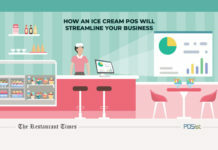 Ranging from the front end operations such as billing and customer management to streamlining your entire kitchen operations, the POS can automate and optimize the entire processes. 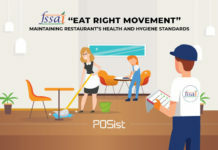 Use this restaurant POS checklist to ensure that you make the right decision while choosing the POS for your restaurant business. 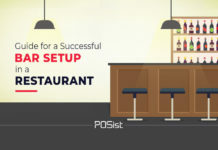 A restaurant POS is a one-stop solution for your restaurant management difficulties. It lets you take care of all the backend and frontend operations seamlessly, giving you complete control over the business. 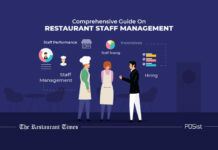 Here is a list of things you can effortlessly take care of at your restaurant using technology. Order taking and billing are two of the most crucial tasks in a restaurant. A fast and efficient order taking process has the capacity to improve your table turnaround time and increase your revenues. The order taking process differs based on the type of restaurant you are running. For instance, at a QSR the order-taking is done at the Cash counter itself and the bill is typically settled instantly. The billing needs to be fast in this case. For a fine-dine restaurant, waiters or servers take orders from the table. Let us look at the different types of ordering systems and billing processes at restaurants. You can equip your waiters and servers with a smart Order Taking App that allows them to accept orders from the app and push them directly to the POS. The App is like a mini version of the POS that includes the full menu display and is also integrated with the CRM. The servers can view the best selling and popular items and also the ordering history of the customers through the App, and upsell items based on this information. The best part is that the Order taking app reduces the order placing time. The customers don’t have to wait for the order to get punched into the POS, and then the Kitchen Order Ticket being sent into the kitchen or the Kitchen Display System, thus optimizing your overall table turnaround time as well. Read how the Order taking App improves your service and reduces the table turnover time here. The tablet ordering system is changing the face of the order taking process. The traditional hard copy menus are now fast being replaced with tablets that enable customers to place their orders themselves. The tablets come equipped with a full menu display and also allow you to display the popular and high-profit items which help in upselling. In this case as well the order is directly placed into the POS and the order is instantly reflected in the Kitchen Display System, thus reducing your order preparation time. Here is how tablet ordering simplifies the food ordering process and also increases customer delight. Often customers ask for separate cheques for food and drinks or if they are visiting in a large group and don’t want one person to pay for the entire meal. A smart restaurant POS generates split bills easily in just a few clicks. Read how split billing is changing the way customers pay for their meal here. The billing system is getting further enhanced with the introduction of mobile or virtual wallets. These mobile wallets are a mobile payment system that stores users’ credit card information and can be used to make mobile payments without sharing the credit card number with the merchant. Hence providing enhanced security. Now, bill generation and payment can be done via mobile phones and guests can settle their bill as soon as they have finished eating, speeding up the bill settlement process. A POS system will help you easily accept the online payments and help you speed up the billing process. Table reservations are often synonymous with fine dining restaurants, but this is no longer the scenario. These days several casual dining restaurants give their patrons the freedom to reserve a table. 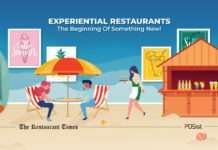 This has made it simpler for the restaurateurs to prepare for the upcoming crowd, allowing them to upgrade the guest experience. Using a POS system can help you and your customers reserve a table seamlessly. Based on the current availability, you can also forecast the time it will take to seat customers during rush hours and tell them the expected wait time. You can also use the table reservation system to let your customers to pre-order their food. This helps in providing swift service to the patrons once they are seated. Using this system you can also send out an SMS to your customers, confirming their reservation. A smart restaurant POS helps you in accepting the online orders without any hassles and also enables you to optimize your delivery process. With the advent of the Food Tech revolution, there has been a surge in online food ordering. 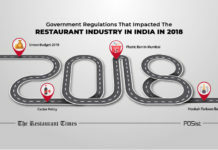 Online food aggregators such as Swiggy, Zomato, Foodpanda, and Ubereats are the major stakeholders in this space and restaurants receive a massive influx of orders through these platforms. Often a single restaurant receives orders from multiple such platforms, making the task of manually updating the orders in the POS from all these platforms a hassle. A smart restaurant POS allows you to accept orders from all of such food ordering channels, allowing you to manage them seamlessly. 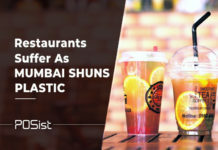 While online ordering from the food aggregators is very much in rage these days, the margins of these platforms is also pretty steep, which ultimately eats up into the restaurants’ profits. Thus, it is a good idea to have your restaurant’s own online ordering website or mobile app that enables your customers to order food online. The website or mobile app can be easily customized according to your restaurant’s theme and includes the full menu display. It is also integrated with your restaurant CRM, thus allowing you to collect valuable customers details such as their contact information, ordering history and behavior. 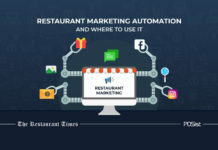 Based on this data, you can run smart restaurant marketing campaigns to engage with them further, which we have discussed in detail below. If you are dissatisfied with the delivery services of the online food aggregators, you can also choose to deliver the food by yourself with the help of an integrated Delivery App. Based on the availability and proximity of your delivery executives, you can assign the orders to them. You can also track their location and the time taken to deliver the food. The Delivery App also allows you to send your customers their order status level through instant SMSs. 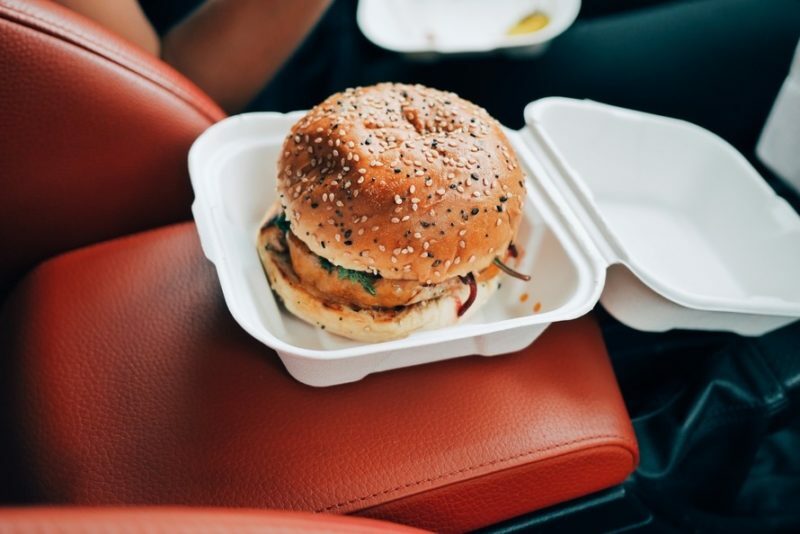 Learn how you can optimize your restaurant delivery orders for increased profits here. During the rush hours, there is a possibility of orders getting delayed or even missed. The KOT may not be sent to the kitchen on time, or simply get misplaced. A restaurant POS equipped with the Kitchen Display System comes handy in this case. The Kitchen Display Systems (KDS) is an ordering and information system display in the kitchen backend to improve restaurant efficiency. It is essentially a digital KOT system. As soon as the order is placed into the POS, it is instantly reflected in the KDS in the kitchen. Any special request by the customer is also visible to the kitchen staff, which otherwise could have been miscommunicated by the server. The KDS reflects the order status and also the time taken to prepare the item. This would help you analyze the time taken to prepare a particular item and further take steps to optimize it. Read in detail how Kitchen Display Systems benefit the restaurant order preparation process. The importance of inventory control in restaurants is immense, but sadly, is also one of the most unoptimized areas in the restaurant business. Considering that managing your stock is a pretty labor-intensive task, it is best to automate the operations with the help of a POS integrated inventory management system. Managing your inventory through your POS software will even give you insights into your customer behavior, enabling you to streamline other restaurant management process. Here is how a restaurant POS software with the inventory management module will help you in restaurant management. Based on your restaurant’s daily stock consumption, the POS integrated inventory management system gives you the Stock-in and Stock-out report. The POS also enables you to set Re-order levels for each stock item that sends real-time alerts and reminders whenever that item reaches that level or is about to be over. Here are 7 essential inventory management tips that you should be employing for smooth stock operations. Calculating your food costs and keeping a check on them becomes super easy if you use a restaurant POS with the inventory management module. The POS generates comprehensive food cost reports that tell you how much money you’re spending on the stock. The average food cost should be between 28-30%, however, this may differ according to the restaurant type and cuisine. 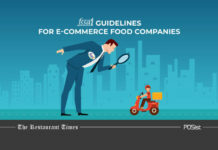 Read the best practices to keep your food costs in check here. Forecasting your menu and your sales is a critical part of inventory management as it tells you the exact stock requirements for a period of time. Based on the stock consumption trend, the restaurant POS generates detailed reports which tell you how much stock you should be ordering. It also gives you the sales performance of individual menu items that indicate whether a particular item is not being sold or is being consistently disliked by the customers. You can utilize this information to introduce changes in the menu item, or consider removing it completely. Here are the essential menu forecasting techniques that you should employ in your restaurant business. Tracking the Yield of the stock items is essential as it will help you analyze the exact quantity of the raw ingredient consumed in preparing a particular menu item. 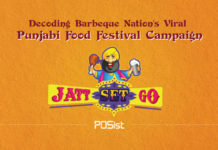 This way, you only order for the stock based on the actual requirement and prevent any wastage. Read in detail how Yield Management helps you keep your food costs in check. 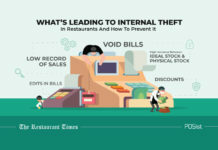 To read more about how an inventory management system helps in restaurant management, click here. Your restaurant CRM is a goldmine of useful data information that should be utilized properly to engage with your guests, develop a better relationship, and also gain insights to improve your service. CRM also helps in boosting customer engagement. The first step of smart Customer Relationship Management begins when you interact with your customers and start gathering their details. Now, customer details are much more than the name, email, and phone number. The ordering behavior of your customers – whether they order starters or main course when do they order, and their Average Spend, all of this useful data is collected by the restaurant CRM. This data not only enables you to run Marketing campaigns but also helps you analyze the consumer trends. You can use these insights to bring about changes in your menu or service to cater to the customer demands. Apart from this, if you have multiple outlets, a cloud-based restaurant POS enables you to store all information online through a central CRM. This way, the customer of one outlet becomes a customer of all outlets, eliminating the need for them to re-enter their information each time. Upselling becomes extremely easy in this case since the servers can view the ordering history and behavior of the guests in the restaurant POS CRM and recommend items accordingly. 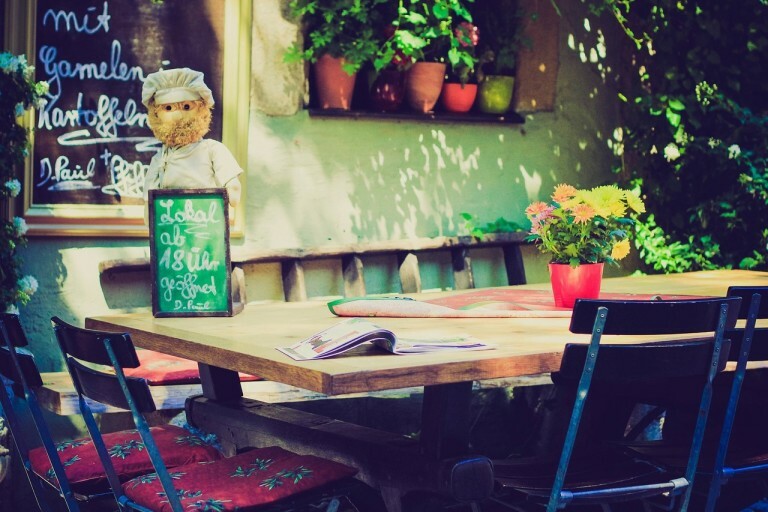 Read how an integrated restaurant CRM helps increase your customer loyalty. 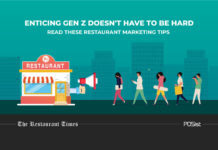 Restaurant Marketing is so much more than simply posting on social media and distributing flyers and pamphlets. 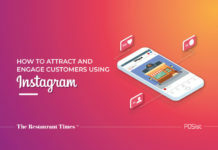 While these are good for attracting customers and creating a brand presence, you need to run smart campaigns to focus on retaining customers as well. It is 6-8 times easier to retain an existing customer than to attract a new one. Plus, loyal customers tend to spend more as well. Targeted SMS and email campaigns based on the ordering history and behavior of the customers typically generate more sales than generic mass campaigns. Based on the data collected by your CRM, the restaurant POS enabled with the Marketing Module can create custom SMS and email campaigns. To overcome these issues, it is essential that your Loyalty Programs is backed with the data that comes from the restaurant POS and CRM. Based on the type of your restaurant, you can run Visit-based or Point-based Loyalty Programs that are easy to redeem for your customers. The marketing of Loyalty Programs should also be done on the behavior of customers. Sending them automated SMS alerts that they have points that they can redeem, or that they can get a complimentary item on their next visit increases the chances of customers returning to the restaurant. Read how to create smart Loyalty Programs that actually bring back customers here. For large chains, the biggest challenge in restaurant marketing is running campaigns for individual outlets. What works for one outlet may not work for another. A POS integrated Marketing Module fetches the performance of individual outlets and enables you to run SMS and email campaigns for the customers of that specific outlet. 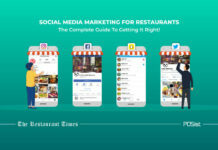 Learn how to run smart restaurant marketing campaigns here. The practice of taking customer feedback has been quite prevalent in the restaurant business for a long time. However, most of the times, customers don’t end up giving their feedback, and there is little action taken on them, even when they do. Generic paper-based feedback forms are now being replaced with smart digital feedback app forms. The FeedbacK App generates custom questions based on the order placed by the customer. This not only increases the chances of customers responding to the questionnaire but also gives you valuable insights about the performance of individual service. Additionally, you also receive instant notifications in case of a negative review, giving you the opportunity to take corrective actions and pacify the customer right there. Read how you should be employing the Feedback App to gather customer reviews the right way here. As the business expands, managing multiple outlets and brands becomes a tedious task. Even for established hospitality brands, managing and monitoring the operations of multiple outlets is a huge challenge. 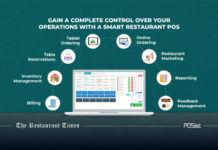 A robust restaurant POS system enables you to manage multiple outlets with ease with the help of centralized control and real-time reporting. 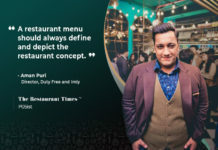 A cloud restaurant POS with comprehensive Enterprise solution enables the smooth functioning of large restaurant chains from one point with zero hassles. The Enterprise Module generates outlet level reports which give you performance updates of each outlet. You can also set user roles and permissions for your staff at the Brand and outlet levels for performing tasks such as ordering stock, editing bills, etc. 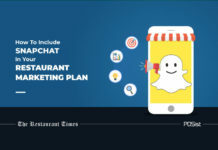 You can also run outlet level restaurant marketing campaigns which we have discussed earlier. Managing the circulation of stock across outlets is a critical task that involves a lot of manual labor. However, this process can be automated with the help of the Base Kitchen Management Module of the restaurant POS. The POS enables you to view the stock consumption and the requirement of each outlet and allows you to transfer stock from the Central Kitchen to the individual outlet. The outlet manager can raise Indents and Purchase Orders which you can monitor centrally. A comprehensive restaurant POS with an integrated Franchise Management Module enables you to manage all your Franchise outlets from one place with ease. You can view the stock requirements of the Franchise outlets from the central panel and move the stock based on the that. 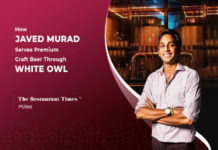 It also allows you to manage the Royalty Fee and consolidate the Payouts and Commissions of each Franchise outlet from the Master Franchise Panel. The importance of reporting and analytics cannot be stressed enough if you want to boost your restaurant revenues and scale your business. The restaurant POS should be comprehensive enough to generate granular reports that give you in-depth insights about your business. 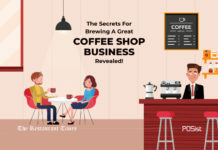 You should be monitoring the daily and hourly sales of your restaurant, the daily stock consumed, number of bills generated, discounts offered etc. Real-time reports come handy in this case as they allow you to manage your restaurant from anywhere. 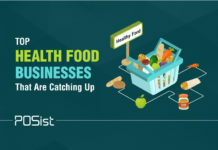 Here are the top restaurant reports that you should be monitoring daily for running a successful restaurant business. As technology advances, the restaurant POS is also constantly evolving to accommodate market demands. From simply just a billing software, the restaurant POS has now become a comprehensive restaurant management platform that provides an end-to-end solution. 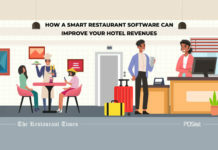 Having a single integrated solution also helps restaurants utilize the data better and improve their operational efficiency.